Click here to see our special David Armstrong Prints! The Open Door Gallery is now the exclusive provider of all prints by Bradley Shoemaker. Prints and framing available up to December 24th. Click here to see what is in the gallery Now! 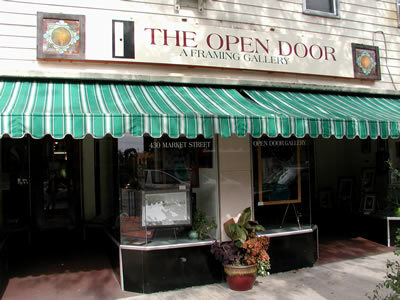 Started as the Art Pod in 1970 by Jacquie Stiefel and Irene Mahon, The Open Door Gallery has become a Lewisburg institution. The tradition of art and community continues today under the guise of Owen Mahon, Jr. and his diverse staff. Unique custom framing still rules, with restoration services for frames, photos and paintings an everyday offering. Stop by, browse, and have a little fun. David Armstrong Prints from one of Pennsylvania's premiere artists. Lewisburg & Bucknell Vintage images and memorabilia of our beautiful town and Bucknell university. Also includes our special screensavers of vintage images. About Us Some history of the gallery and our special relationship with David Armstrong.